Marking significant gains in the company’s comparative financial performance over year 2009, Emaar Properties PJSC recorded half-year 2010 net operating profits of Dhs1,656m ($451m). This corresponds to a 122% growth over the half-year 2009 results, underscoring the effectiveness of Emaar’s strategy to focus on its core competency of value creation by building premium real estate master-developments in key geographic markets. The revenue for the first six months of the year was Dhs5.538bn ($1.508bn), recording a growth of 59% over half-year 2009 revenue of Dhs3.481bn ($948m). Net operating profit for the second quarter ended 30 June, 2010 was Dhs896m ($244m), 18% higher than the first-quarter 2010 net operating profit of Dhs760m ($207m). The net profit subsequent to considering the non business charges for the quarter is Dhs802m ($218m), a 6% increase over the first quarter of the year. Revenue for the second quarter recorded a growth of 37% over second quarter 2009 revenue of Dhs1.940bn ($528m). The highlight of second quarter 2010 was the opening of the world’s first Armani Hotel in Burj Khalifa, the world’s tallest building. In addition, the handover of units in Burj Khalifa started during the quarter with approximately 24% handed over until June end. In the process of implementing the strategy of concentrating on its core business, Emaar transferred the Hamptons International business in the UK, Europe and Asia to Countrywide at a consideration, which was similar to the purchase value of the business (in Sterling terms) it acquired in 2006. In addition, the Hamptons agency’s business in Middle East and North Africa was retained by Emaar to support its key geographic markets. The company also decided to transfer the management of Emaar Education’s schools in the UAE to Innoventures Educational Investments, a Dubai based premium education provider. Mr Alabbar said that Emaar’s revenue model has effectively diversified with an increasing share from the rental & hospitality operations over the past year, a trend reflected in the half-year 2010 results. “This is in line with our growth strategy, outlined in 2007, to further expand our revenue streams through strategic investments in key international markets as well as new business streams including shopping malls & retail and hospitality,” he explained. 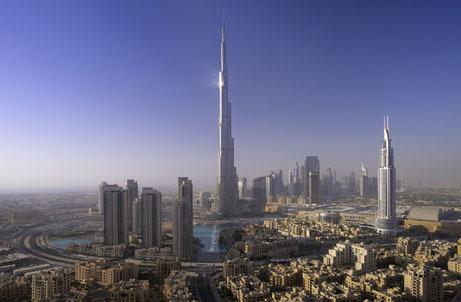 Out of the 2009 full year’s revenue of Dhs8.413bn ($2.290bn), 25.8% were from leasing and hospitality operations, and 8% from international operations, compared to 90% of the revenue coming only from Dubai property development in 2008. Emaar has handed over homes in its master-planned communities in Turkey and Pakistan, and the company is currently on schedule with the completion and hand-over of landmark projects in India, Saudi Arabia, Jordan, Egypt and Syria over next 12 months. These markets are expected to contribute further to the revenue stream of the company.